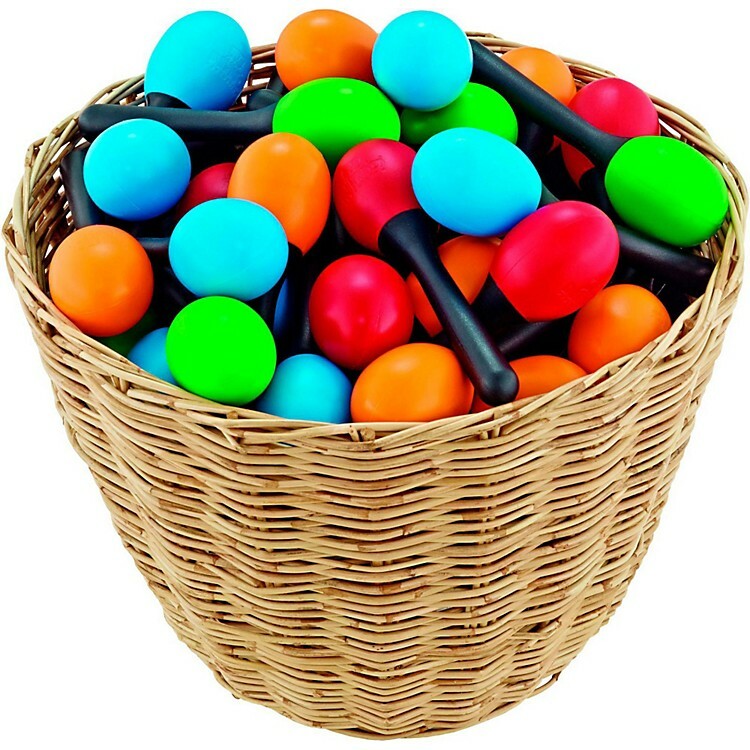 A set of 4-dozen, ergonomic lightweight maracas for ages three and up. Ergonomic handles make these lightweight Maracas from Nino Percussion easy to hold for children. The filling used is designed to create classic maraca sounds that are pronounced and cutting, without overpowering. These durable instruments are perfect for recreational playing and classroom use when learning the fundamentals of rhythm. Nino Percussion offers an outstanding collection of musical instruments designed specifically for children. Whether played alone or with a group, the performance and sound quality of Nino Percussion instruments make them the ideal choice for young musicians and those who teach them.